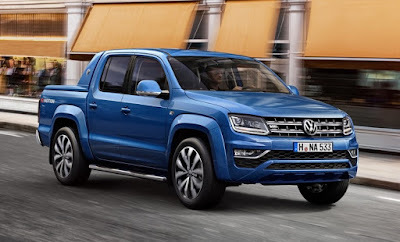 Auto Industry Newsletter: Is VW’s Amarok pick-up set to bow in the USA? In May this year, 2018suvs.net proclaimed that Volkswagen Commercial Vehicles (VCV) would begin marketing the Amarok pick-up truck in the USA in 2017. It said the 2017 VW Amarok USA is expected to use the MQB platform, adding that with this platform the vehicle should be modern-looking and of sufficient strength to carry the required load. It forecast the front of the pick-up truck will have a large grille and new LED headlights. Reports suggest there will be a 4.2-litre V8 TDI engine which will develop 420 bhp and 686 lbft of torque. Reports add that there will be the option of a manual six-speed manual transmission, and an eight-speed automatic transmission. Acceleration from 0-60 mile/h takes 6 s.
Competitors in the US to the Amarok are seen as the Honda Ridgeline, Nissan’s Navara, the Chevrolet Avalanche, Dodge Ram and of course Ford’s F-150. 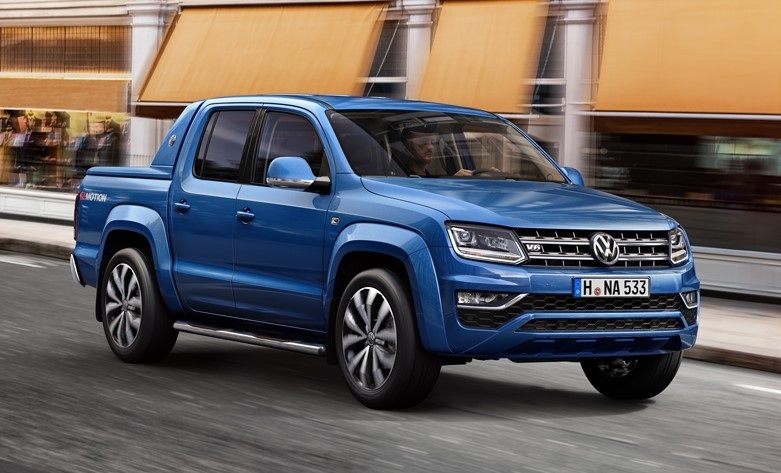 However, that same month, May 2016, Volkswagen Commercial Vehicles (VCV) in Europe revealed first images of its new Amarok on the move, as well as the interior which offers customers a number of new features. VCV said the Amarok will have a new 3-litre V6 TDI engine giving 550 Nm torque and 165 kW / 224 bhp at its highest power output level. VCV also claims a top speed of 193 km/h(120 mile/h) and accelerate from 0 to 100 km/h (62 mile/h) in 7.9 s.
In Europe, the new Amarok will be available with rear-wheel drive and with double cab. The V6 TDI and 120 kW (EU6, available from the second quarter of 2017), option will be more expensive than the previous entry-level model with a double cab and 103 kW TDI four-cylinder engine. The top-of-the-range Amarok Aventura will have the V6 TDI and 165 kW engine, 4Motion all-wheel drive and eight-speed automatic transmission will be launched at the end of September 2016. However, a spokesperson for VW says the company has no plans to launch Amarok in the USA.